This 2nd issue features some of the best indie artists from USA INDIA & PAKISTAN of whom to watch out for in 2017. IMM creates buzz and will give some artists their first taste of fame. 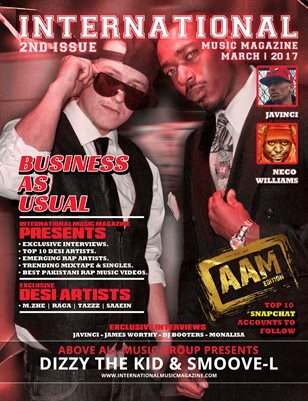 our goal and mission is to become the number one hiphop music magazine publishing company that gives indie and upcoming artist international promotion in major media/social media outlets.